In the days leading up to the Civil W President Abraham Lincoln is quoted as saying ” A house divided against itself cannot stand.” What did he mean by this? Clearly he was saying that the United States of America had to remain just that, united. In order to continue to exist as a nation we had to truly be unified. What Lincoln was reacting to were the many conflicts that were dividing this great nation. We call these divisions sectionalism. Sectionalism – the placing of the needs of one section of the nation over the needs of the whole nation. 1. The different sections at this time were the North and the South. The West was also a section but this section (because it was new) did not practice sectionalism. Instead it was the other sections that fought to control the destiny of the west. What was the difference between the two sections? The North – primarily industrial in nature. Business and industry played major roles. Supported Tarrifs because it didn’t want people importing cheap goods from other countries. Life was faster, people tended to live in cities and be more educated, and commerce was important. Many in the north viewed slavery with suspicion and some with outright hatred. What issues created the sectional conflict? What “idea” was causing people to want to spread out across the North American continent? What were the different “sections” in the sectionalism of the United States? Please define sectionalism in your own words. Based upon context clues, what does the word chasm mean? What war did all of this sectionalism eventually lead to? What were the years of this war? What is an example of “modern day” sectionalism? Where do you see a type of sectionalism alive today? 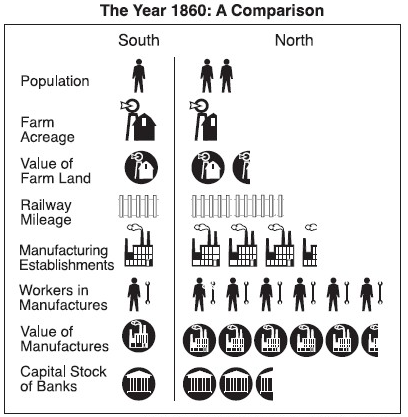 How were the economies of the north and south different? What was the Political Sectionalism? What are some negatives to compromise? What was the Social Sectionalism? Are the north and south still “socially” different? How did all of this lead to the Civil War? Do you think the Civil War could have been avoided? Directions: independently read the following passages and answer the questions. Remember to mark up your text and use your reading strategies. As the new American nation moved into its seventh decade of existence it faced several crisis that threatened to tear down the very foundations on which it stood. Sectionalism plagued the land. Instead of looking at the nation as a whole, regional separatism took hold. Southerners, westerners and northerners began to identify themselves regionally and not as Americans. The regional differences that had served to build America now threatened to destroy it. 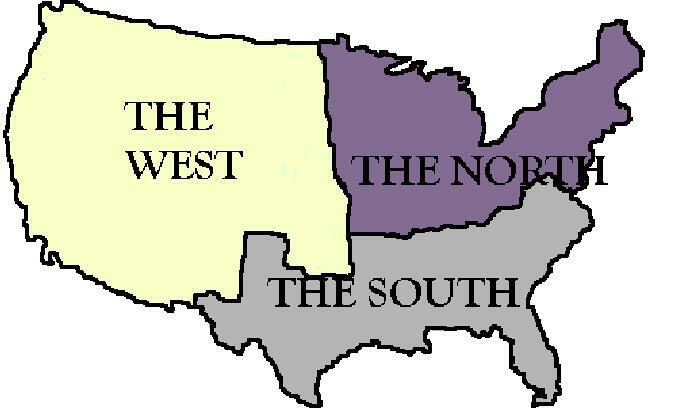 Sectionalism is the idea that your region or location is better or more important than the nation as a whole. All in all, there are three different types of sectionalism. There is economic, political, and social sectionalism. When James Monroe thought about his vision of an “American System” he saw the parts of the nation working together as a whole. From colonial times there were differences in geography that gave rise to variations in culture and economy and politics. The northern regions of the nation tended to focus on trade, shipping and manufacturing. The southern regions of the nation tended to focus on agriculture via slavery and the mid-Atlantic region blended both. As the nation expanded westward new states like Tennessee, Kentucky and Ohio were largely agricultural but yet still stuck to northern and southern ways of life. These geographic and economic differences spurned cultural differences as well. The merchants of the north were accustomed to a faster paced lifestyle while the plantation owners of the south played the role of the gentleman farmer. The leisurely lifestyle of the south did not extend, however, to the working farmhands and slaves that supported the plantation lifestyle of the southern aristocracy. As the different regions began to define themselves, economic issues came to the forefront. Wishing to support America’s domestic manufacturing, northern politicians endorsed a series of protective tariffs. A tariff is a tax placed on things brought in from other countries. Since the south had to buy most of the things it wanted from other places, they did not like tariffs. The first tariff passed in 1816 was relatively mild but the second passed in 1828 was much more severe. Southern states called it the “Tariff of Abominations” and demanded the right of nullification (ignoring a federal law). President Andrew Jackson endured a bitter conflict with his Vice President John C. Calhoun while the Webster-Hayne debates raged in the Senate. The split over the tariff and nullification was so fierce that it even led to a violent attack on Senator Charles Sumner on the floor of the senate. Eventually Congress passed, and the President signed, a bill called the Force Bill that authorized the use of the military to compel states to pay the tariff. The bitterest battle of all however, was fought over the issue of slavery. Cotton was essential to the southern economy, as they used to say; “cotton is king!.” To southerners slavery was essential in maintaining cheap production of cotton. As cotton production grew, so did slavery. Without slavery, many in the south felt that they would lose lots of money and their way of life. The North, however, had no economic need for cotton or slavery. The compromise, however, would not last long. When California asked for admission as a free state in 1850 the Missouri Compromise would have bisected the state. The Compromise of 1850 allowed California to enter as a free state but only after allowing a popular vote on slavery in Nevada and New Mexico. If that did not signal the death knell for the Missouri Compromise then the Kansas-Nebraska Act surely did. The act allowed for a popular vote, known as “popular sovereignty” in the Kansas and Nebraska territories. A mini civil war broke out in Kansas as pro slave supporters clashed with “free soilers.” By the time the Supreme Court issued it’s verdict in Dred Scott v Sanford any chance of compromise over slavery was over. Thus sectionalism, which started as merely differences in culture, ended up being one of the main causes of the American Civil War. 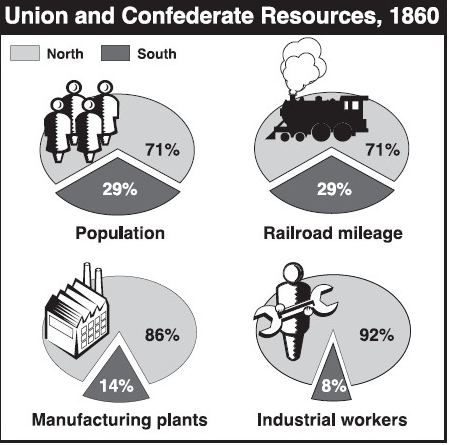 The north and the south developed distinct cultures. They spoke with different accents and had different ways of viewing the world. People in the south lived a fairly rural way of life. It was a slow paced way of living that was much different than the north. On average, they had less schooling and were more likely to be poor than people in the north. The south had particular customs which placed a great emphasis on the relationships between men and women and their traditional roles. Women were often put up on a pedestal as “perfect” or “pure”. What are the three types of sectionalism? How did James Monroe think of the different sections of America? Based upon the context clues, which word best describes the meaning of “variations” in the text.? Based upon the context clues, which word best describes the meaning of “domestic” in the text?. What is a tariff and why did the south not like them? What was the major cash crop of the south? Why was there constant political sectionalism in the 1800s? Name two states that entered the United States in the 1800s and describe if they entered as Slave or Free states. Name two ways that the north and south were different as far as their cultures. Quote North or South? Why? Directions: look at a picture and figure out which of the three types of sectionalism the picture represents. Picture Number Describe the Picture What type of Sectionalism Why?